I have fond memories of drinking lake water off the edge of my paddle during breaks on canoe trips with my Dad when I was a kid. We never gave a second thought to pollution or contaminants in the water. Times have changed, and not for the better when it comes to drinking water. At some point in time over my life, we started buying jugs of water from the local store that sold water purified by reverse osmosis. It seemed strange to “BUY” water in the summer, but like so many other things in life you just adapt. When I eventually became aware that the water from our taps in the city was not healthy, I was faced with a dilemma. 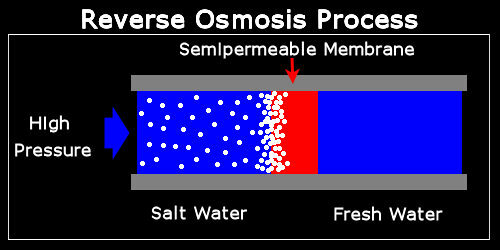 My first thought was to install a reverse osmosis unit. However, by that time I had learned that RO water left the water acidic and depleted of valuable minerals. I had also learned about the incredible health benefits that could be derived from drinking energized/ionized water. The solution seemed simple to me as all you had to do was combine a RO system with a water ionizer. Unfortunately, the solution didn’t work at the time because the only water ionizers available on the market were electric water ionizers and they don’t work together. Electric water ionizers require the presence of alkali metals to provide ionization to produce alkaline water. Since RO systems remove all of the contaminants from the water including the alkali metals, it is easy to understand the problem. When I learned about non-electric water ionizers (aka natural water ionizers), I realized that a solution for clean and healthy water was possible. Natural water ionizers create stable or natural energy by introducing water to filters packed with alkali metals (magnesium, calcium, potassium, or sodium). As such, natural water ionizers can work in perfect harmony with RO systems because the clean and pure water from the RO system can then be ionized. RO water is unhealthy for two reasons. First, our bodies are supposed to be alkaline instead of acidic, so drinking acidic water causes problems. Second, our bodies require minerals for good health and RO systems remove them. The RO industry has finally woken up to the fact that the acid water which is devoid of minerals is bad for your health. Now the industry is scrambling to find a way to remineralize the water so that it can be both clean and healthy/energized. The solutions that I’m seeing on the internet are the wrong solutions. The RO companies are offering calcite and corosex remineralization filters as a solution. Unfortunately, neither product was designed to work with the aggressive acidic water produced by RO systems. The acidic water depletes the media in the filters much faster than the sellers are letting on and they are putting too much calcium and or magnesium into the water. As a result, the formation of kidney stones is a real possibility. RO’s are great for purifying the water, but to be healthy, they require a remineralization media that won’t cause potential health issues. I’m told they will be on the market soon as I have been testing them since last December. ← Confused By Ionizer Websites? I’ve used RO machines before and was really disturbed by the amount of water that is wasted it the production process. I don’t really see them as a sustainable option on a large scale, especially in regions where water conservation is a serious issue. I wonder if RO type results could be achieved by running water through lets say 2 or three alkastreams before it was drank. I agree that 75% waste water is wasteful when conservation is a sensitive issue. You might want to check out nanofilters as an alternative. You wouldn’t be able to achieve RO type results by running water through an Alkastream. The Alkastream doesn’t have a mechanism to duplicate the tiny size of the membrane pores in a RO system. I’m currently satisfied with the quality water of alkastream it taste purer than any bottled water I’ve ever drank. Maybe I don’t know enough to be concerned but I don’t know if i’ll ever seek out any more filtration than what the alkastream provides. The waste water is definitely an issue when water conservation is a factor. I suggest that you look into nanofilters as an alternative. You could never get the same contaminant removal results from a series of Alkastream units that you get from a RO system because of the difference in the size of the pores in the RO membrane and the contents of the media and filter pads in the Alkastream. I have been reader of your articles for years now, and I am appreciative of the information I have found there. I have a concern in regards to an article you wrote a couple of years ago where you were critical of RO systems and challenged owners of RO systems to cut open their tanks in order to view the accumulated contents. I am also concerned about the amount of waste water cast off from an RO system. I’ve read that as much as 80% of the water that enters an RO system goes down the drain as waste. I am unable to find the article I attributed to you, so if I am wrong about the source I apologize. I hope you can help reconcile these issues. It was me that wrote the article that you are referring to. The holding tanks of RO systems can get pretty gross because the acidic water sits in them. Stagnant water is a breeding ground for all kinds of nasty stuff. What I find intriguing about the new remineralization filters is that they put alkaline water into the tank which drastically reduces growth and the consequent after taste. That means people using a proper remin filter before the tank no longer require a polishing filter. The polishing filter is just an inexpensive carbon filter that removes taste and odor, but it also reduces the pH of the water as well. The amount of waste water generated by a RO system is a concern. Most RO systems send 3 gallons of water down the drain for every 1 gallon of drinking water. Most people have access to a plentiful and very affordable supply of water, so the small amount of waste water is not really an issue for most of us. If you do have an issue with waste water, I recommend collecting the waste water and using it on for plants. It sounds to me that the ideal solution would be to hook up a great remin filter or the Alkastream to a good RO system to get best out of both worlds. Clean contaminant free water with natural ionized alkaline water. I purchased a remin filter for $250 from Vitev.com. The filter was installed to our Culligan RO system. We are now getting clean healthy alkaline water with a Ph of about 9.5. You can check it out online at Vitev.com. The filter is made in Southern California. Good luck with your research. Thanks for the feedback on your remin filter. Thanks for the valuable info. If possible, could you please provide links to the claims or studies that you referred to in connection with the WHO. Here is some more interesting info I thought you may like. Here’s one from the WHO.